Robert Edgerly was born in Savannah at the Telfair Infirmary. He worked as a tow boat captain in New Orleans for a number of years before returning to Savannah in 1989 and launched riverboat cruises on the Savannah River. After a stint as site manager of the Georgia State Railroad Museum, Robert founded See Savannah Walking Tours in 1997. "My tours are tailored to your schedule and interests! Marvel in the History, Civil War, Gardens, Architecture & Ironwork of this beautiful city." Take a tour with Robert, a Savannah native, at See Savannah walking tours; take the kids, have fun, learn a lot. Robert gives one heck of a tour. 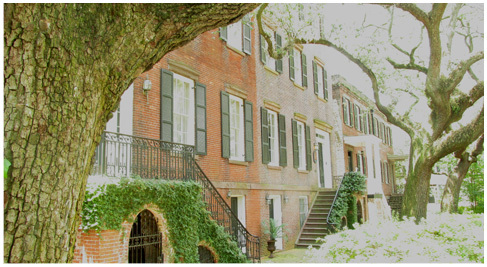 He brought the rich history of the South to life as we strolled the streets of historic Savannah. It was fascinating. My wife and I thoroughly enjoyed the tour. Very Interesting. © 2017 See Savannah with Robert Edgerly.